Check out Michael Beasley's golf skills as he visits Top Golf! Check out the ankle breakers and buzzer beaters from Tuesday night in the NBA with the Top Plays. Svi Mykhailiuk scores 22 points off the bench and Kyle Kuzma adds 19 as the Los Angeles Lakers take down the Golden State Warriors in preseason action for the second time this week, 119-105. 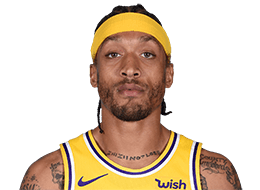 Michael Beasley is ejected after picking up two quick technical fouls following an altercation with Draymond Green.